Of all the incredible Nike ad campaigns from the &apos;90s, there are few as memorable as the "Bo Knows" series. Conceptualized to highlight Bo Jackson&apos;s multi-sport capabilities, the ads saw Jackson doing a little bit of everything including hoops, hockey, and even surfing. Now, more than two decades later, Nike&apos;s taking it back to where it all started for a new pair of Air Trainer SCs. 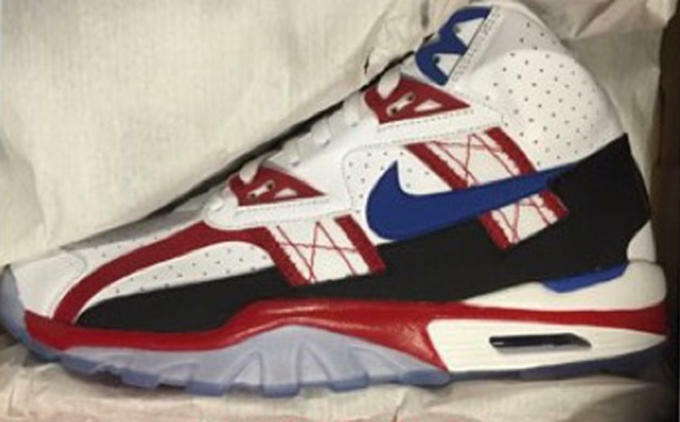 This "Bo Knows" colorway makes use of a white and black-based color scheme with hits of red and blue and is capped off with an icy translucent outsole, which is where things really get interesting. 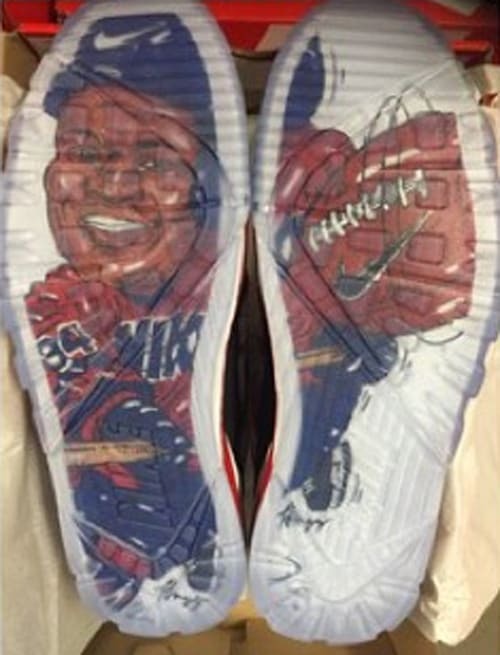 Underneath the clear outsole layer is an animated Bo Jackson graphic that sees the dual-sport star clad in a combination of baseball, football, and hockey gear. This is the sort of creative retro storytelling we can get behind, and we think most Bo Jackson fans will agree. There&apos;s no official word on a release date for these, but according to NikeBlog, they are rumored for a public release. Check back soon for more and scroll down to check out the original TV spot below.